What's a Home Area? Think of it as our operating area, where our cars free-float around the city. You can only pick up and drop off vehicles within this area and designated spots outside of it, but everything in between is up to you. See the full car2go Home Area in NYC here. Whether you’re grabbing dinner with friends or refreshing your wardrobe, getting to the Industry City has never been so convenient. If parking is full, please end your trip on street as you normally would within car2go parking guidelines. 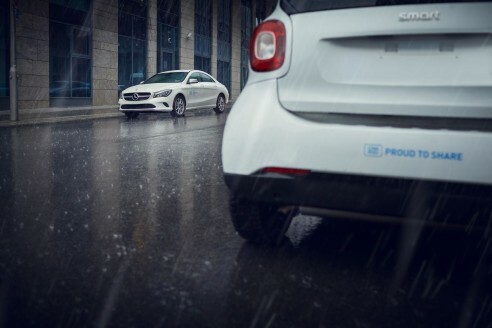 car2go offers you ultimate parking freedom. 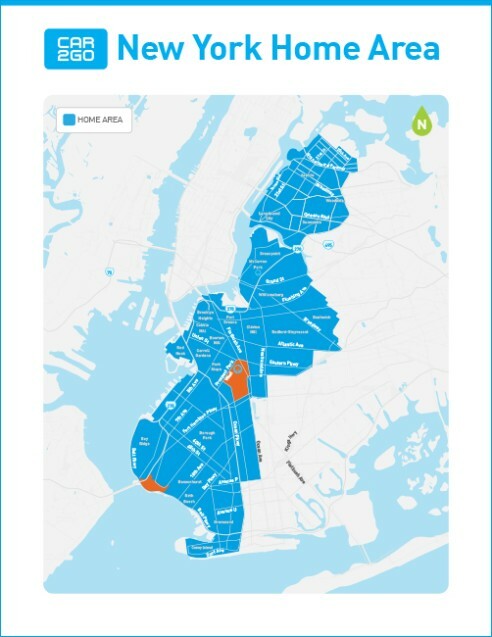 To end your rental, simply park your car2go on public, non-metered, on-street parking within the New York Home Area. The best part? It costs you nothing. Any legal on-street parking spot within the Home Area. On streets with 4-day-a-week street sweeping, do not park within 12 hours of the scheduled cleaning. On streets with 1- or 2-day-a-week street sweeping, do not park within 24 hours prior to the scheduled cleaning.